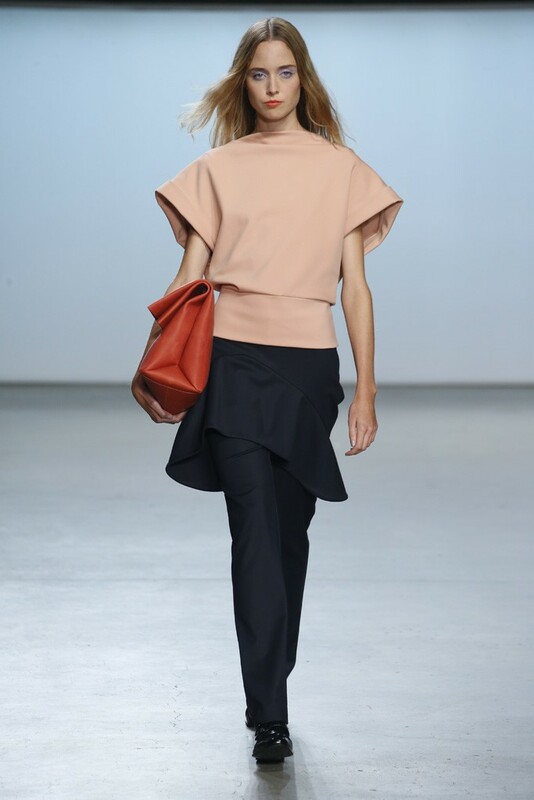 Straying from the seasonal stereotypical, designer Ms. Sally LaPointe went to trod her own path to make Spring|Summer 2015 sans a plethora of hues or florals. Instead, she went for more chic: a color palette of black and white. Taking inspiration of a conservative and classic goddess, Ms. LaPointe designed a majority of the collection with no exposure of the neckline, however, then turned liberal and modern at the sheer shirts and dresses. 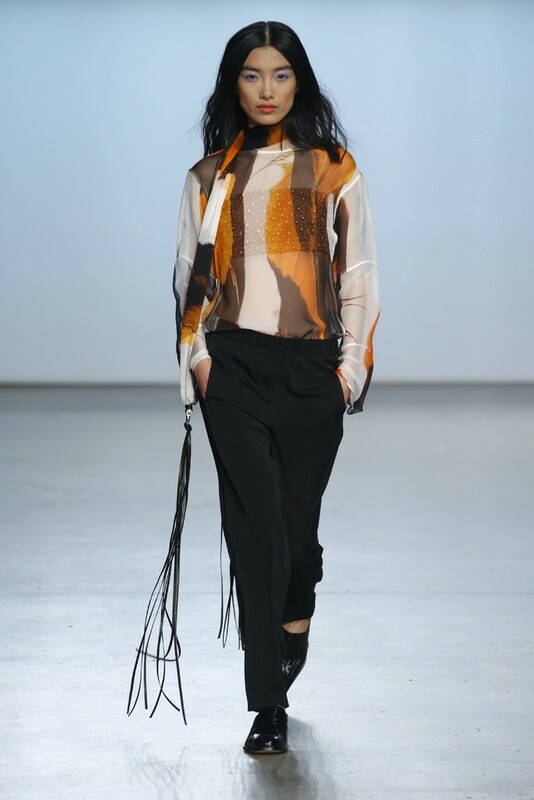 Mostly with steel decorated belts, fitted silhouettes show contour. 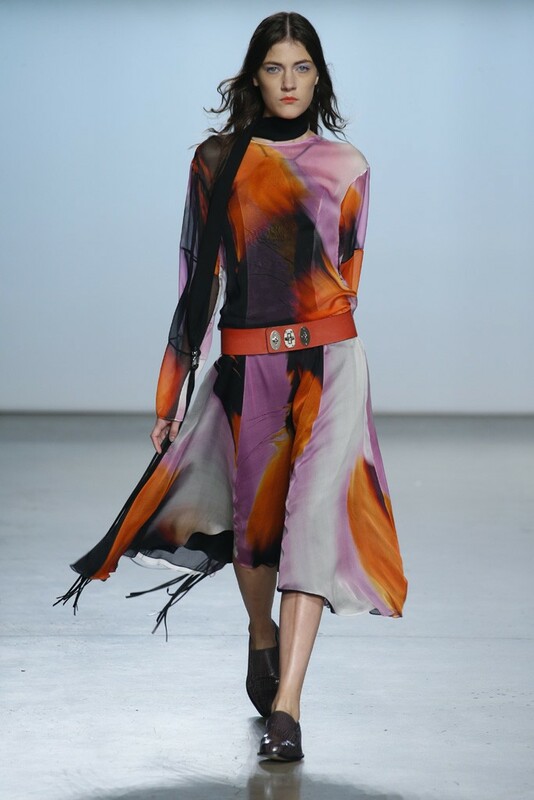 Other details of the collection include splashes of color in prints as well as feather and zipper accents. One of the visually attractive points of the collection is the voluminous shirts with long to enlarged short sleeves, which give an understated presence. Embodying a younger spirit yet at the same instance not age limiting, the collection works well for a metropolitan lady.